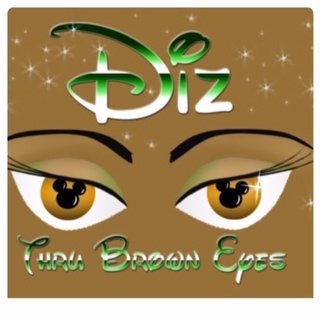 Diz Thru Brown Eyes is a lifestyle and informational blog about Disney, it’s entities, and impact it has on the world. 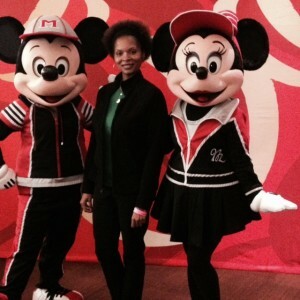 About Elantrice Hughley…I am a native of Georgia currently residing in the Atlanta area. I work full-time in the mental health field for a private company that provides counseling services to adults and children. I started DizThruBrownEyes.com to showcase my love and view of Disney. I also have a love of traveling and exploring new places. Follow me on Facebook and Twitter to be informed of my travels and adventures! I welcome opportunities for product reviews, giveaways, sponsorships and other promotions based on companies and products that would be beneficial or of interest to my readers. I am open to travel opportunities as well as advertising. DizThruBrownEyes.com adheres to full disclosure and FTC guidelines. Requests for reviews, promotions, guest writing, or site statistics may be directed to DizThruBrownEyes@yahoo.com. I am currently employed by the Disney Store as a Part-Time Sales Associate. Despite my employment, the posts here are of my own opinion and do not represent the position or opinion of the Walt Disney Company. For official Disney information and news visit www.disney.com or their www.disneyparks.com. All Disney characters and images mentioned are ©Disney. All other text, ideas and images are ©Elantrice Hughley unless noted. Items provided to DizThruBrownEyes.com for review will always be clearly noted on the post itself as well as any other terms of sponsorship or payment for reviews. Any feedback, questions or ideas are welcomed and can be sent by emailing DizThruBrownEyes@yahoo.com. Do you still have that Castaway Kay Mug?? I’ll buy it from you for $40! Just lost ours and it meant a whole lot to my wife. Hi! Yes I do but it is not for sale. Check shopDisney.com. They have Disney Cruise Line and Castaway Cay items.